Partagez plus qu'un repas avec votre mobile! 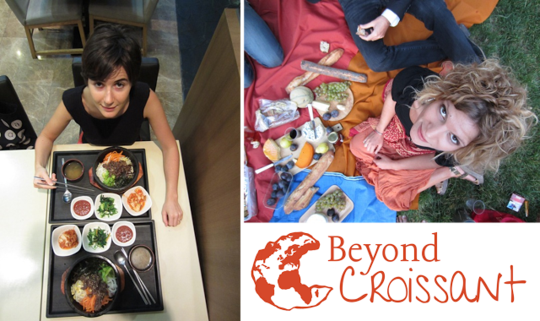 Beyond Croissant gathers travelers, expats and locals in their homes to share (more than just) a meal. Beyond Croissant is a sustainable and social network to go beyond the clichés, meet and eat with FoodFellows from all around the world, while travelling, after moving in a new city or simply to meet people in your own city to live a unique experience, to get off the beaten path. From October 1st, Beyond Croissant has gathered hundreds of Foodfellows in France and around the world, and rewarding feedbacks about service and Beyond Croissant experiences. The site is in line with the collaborative consumption business model. Now that it appears as smart and nearly natural to share his car, his garden, his home, his washing machine or knowledge, it’s high time we took time and just share a moment having fun. Tourists, students, locals, people moving in a new city... Beyond Croissant offers to gather all these people around a homey meal. What's best than sharing a meal? People willing to hosttravellers from across the world or people from their own city, regardless of the size of their homes and cooking skills, can fill in their profiles and freely respond to requests from foodguests. This online profile lists the suggestions they offer , from brunch to Wine & Cheese meal through the gourmet meal or a picnic. Hosts also inform the amount of compensation they want, from 0 to 65 euros per participant. 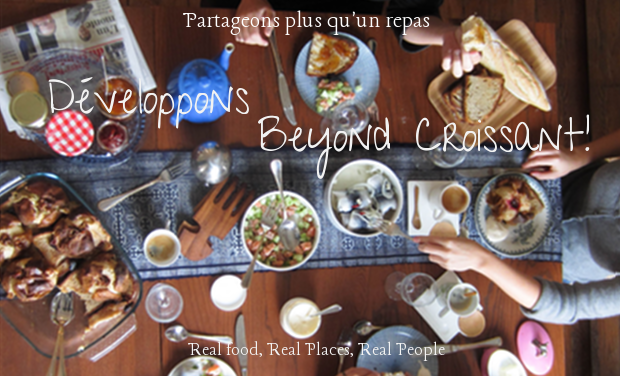 They finally introduce themselves with a few words, revealing their personality through answers to a few questions about their memories, food addiction and travel desires and photos, in a "real place, real food, real people " spirit, Beyond Croissant leitmotiv. 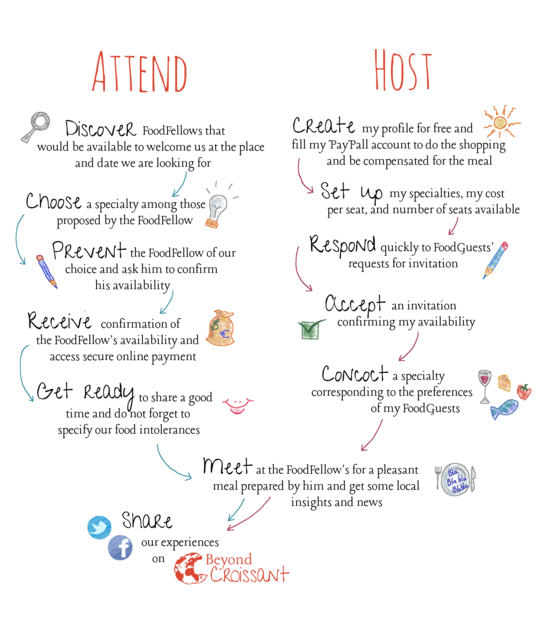 Participants wishing to invite themselves to share (more than just) a meal with a host send him an invitation request with the type of suggestion they choose (gourmet meal, brunch, wine & cheese…). When the request is accepted by the host, the participant(s) access secure online payment to settle the indemnity he has fixed, and personal details are exchanged. It’s time to share a unique experience, wise mix of common expectations and unknown. With their very small arms, their savings, their boundless energy and advanced resourcefulness, Beyond Croissant co-founders certainly have done wonders... it remains to expand the team, join us! The aim of the collection is to implement the recommendations that our users have done so far ! We listened with interest the constructive feedback of our first guests and participants on our alpha and beta releases and we now want to implement their recommendations.
" 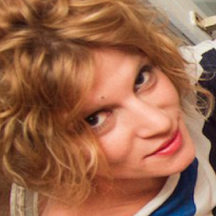 The responsiveness required for guests is problematic, I agree with you, it is crucial. Except that here, the point is that a site like yours, in my humble opinion, is not a site we visit every day. This is not automatism, it is not a must in our daily surfing. I’m thinking about two complementary solutions: - Create a mobile application with push notifications. Guests will know if they have requests, even in situations of mobility, and can respond (accept, reject, write a short text: no need to get a computer!). - Facebook integration (social app): I do not know about you but when I see a friend heard a song on soundcloud, I find myself back on my soundcloud to listen to playlists whereas without this « Facebook reminder », I would not think of returning to the site. In short, it allows you to keep the site in mind, and as a bonus it can help promote your site through your 1st users." " The response time required for the host seems a little short"
"You can imagine the common and uncommon meetings that will "feed" the topics to come: the unforgettable moments, unlikely encounters, disconcerting dishes, misunderstandings, the laughter, the crushes .... in short, the joys of travel! " What we offer? Discover Beyond Croissant! To win, our famous tote bags and our Antillean Croissant Bag, "Beyond Ti Punch" invitation to eat with the co-founders (from Wine & Cheese to Gourmet Meals through the Informal meal , and of course, their eternal gratitude for taking part in the adventure. From 400 euros, you will get the chance to become Beyond Croissant partner. Believe us, we overflow of ideas for you to join our journey beyond the clichés :-) Contact us for more details at thanyou@beyondcroissant.com! You are a Beyond Croissant partner! You already deserve an article on your project on our blog and / or our city guide and we overflow of ideas, please contact us for further details thankyou@beyondcroissant.com! Vous devenez partenaire de Beyond Croissant! Vous méritez déjà un article sur votre projet sur notre blog et/ou notre city guide, et nous débordons d'idées: nous contacter pour de plus amples détails à thankyou@beyondcroissant.com!